Since 1984, Darby Creek Valley Association has worked diligently to improve the health of our watershed and to educate all of our watershed residents using highly qualified award winning professionals from within the environmental professions. DCVA now offers aid to municipalities to meet their Municipal Separate Storm Sewer System MS-4 permit requirements for Public Educational and Outreach. We invite your municipality to join Darby Creek Valley Association as a member for the remainder of 2018 and the 2019 MS4 permit year. 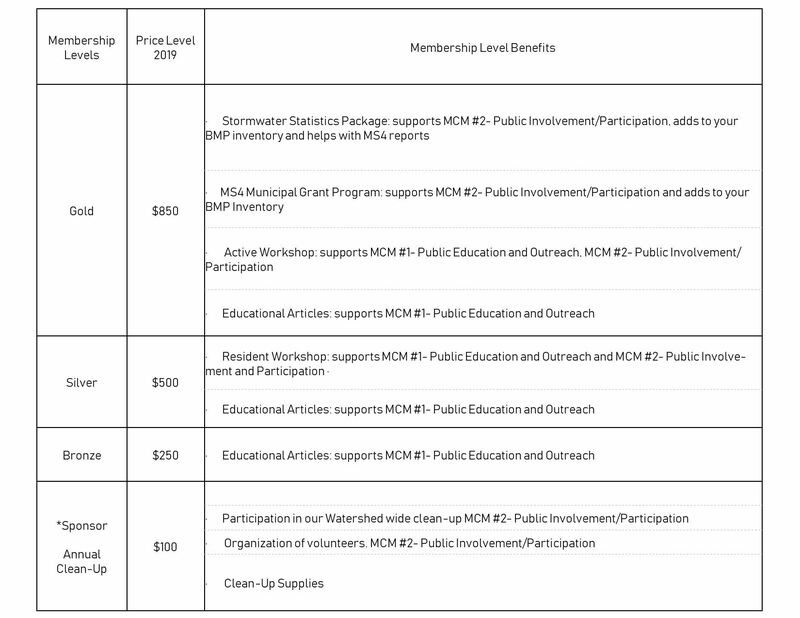 Our municipal membership levels and corresponding benefits are listed in the table on the enclosed Membership Form. Please read over carefully and should you have any questions, please do not hesitate to contact us. To join the Darby Creek Valley Association and receive benefits for the 2018/2019 MS4 permit year, please fill out the Membership Form and return with your payment. To obtain the benefits please sign up no later than November 30, 2018 to allow adequate time to meet your needs.